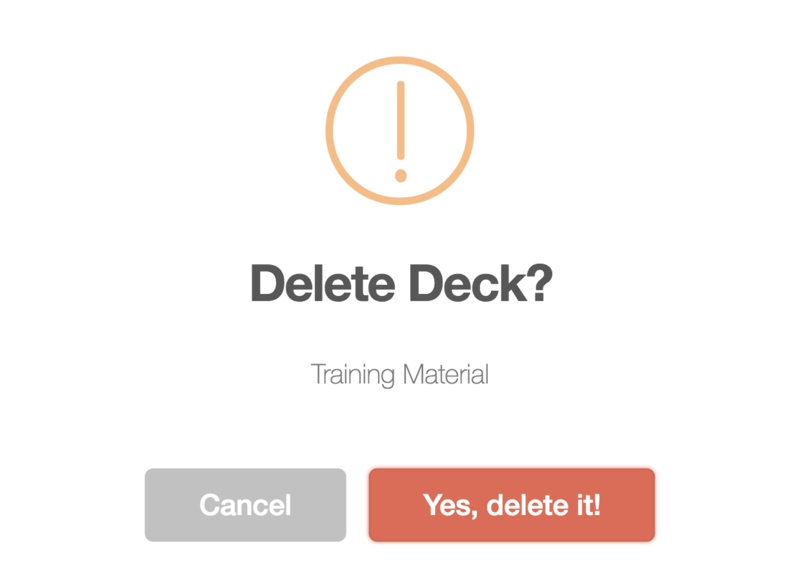 How to Delete My Deck? 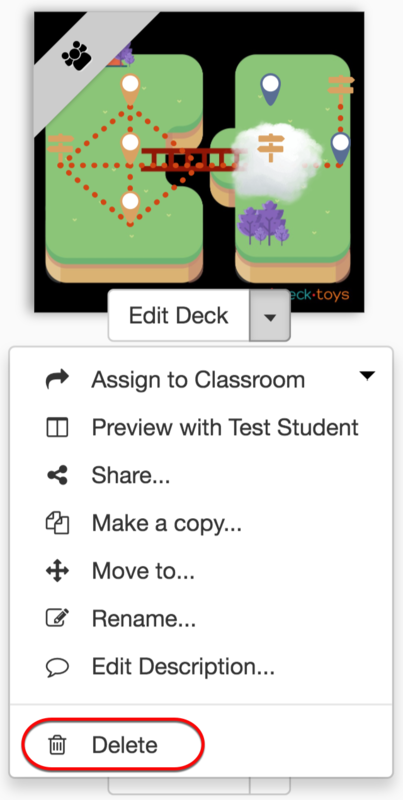 To delete the lesson that you have created, go to your 'My Dashboard' and click on the drop-down menu on the particular lesson. Select the 'Delete' option from the menu. A pop-up screen will appear to confirm your deletion. Select 'Yes, delete it!' once you have confirmed.